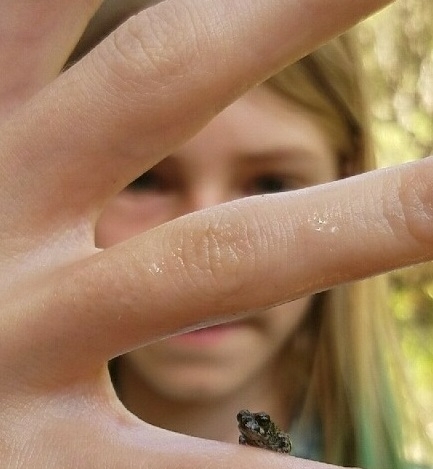 Mikayla McWilliams shows a tiny frog at the Sustainable You Summer Camp, UC Hopland Research and Extension Center. 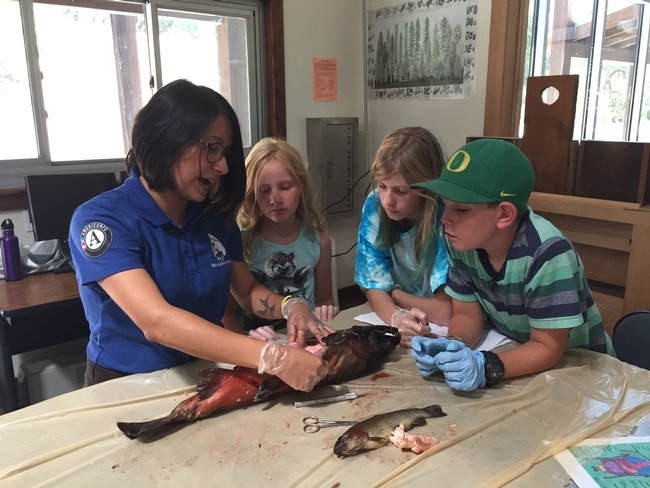 This seemingly terrifying experience is in fact all part of the new "Sustainable You - 4-H Summer Camp" held at the UC Hopland Research and Extension Center. Sustainable You is a five-day camp allowing students to experience science and nature while learning about ways in which to conserve the land, water, air and energy. The camp is conducted at three of the UC Agriculture and Natural Resources' Research and Extension Centers across the state and each center tweaks the curriculum to suit their landscape and the kinds of research conducted at their sites. At Hopland this means getting the chance to meet with wildlife biologists from the UC Berkeley "Brashares Lab," led by professor Justin Brashares. It's an amazing opportunity for these kids to meet and ask questions of scientists conducting experiments in the countryside that surrounds them. Dominic may not be collared, but more than 10 deer on the property went through the same experience last week (minus the candy) as they were carefully captured by researchers and fitted with collars to better understand their movements and population across the 5,358-acre center. 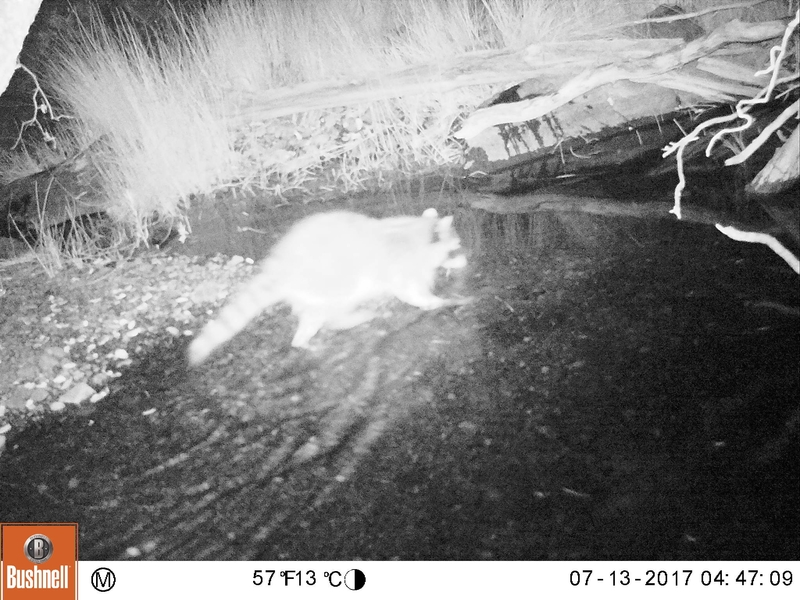 The young team of scientists enjoying summer camp were also working to understand what wildlife shares the landscape with them by setting wildlife cameras daily and improving their positioning and locations each day. Advice from Brashares and Jessie Roughgarden helped the students improve their chance of catching footage of raccoons, foxes and maybe even a mountain lion. Day one produced fox video footage and shots of raccoons feeling around in the last pools of creek water to catch some of the tiny young frogs currently in residence. A raccoon captured on one of the wildlife cameras set up by campers. Exposure for these kids not only to hands-on activities exploring sustainability, but also to wildlife biologists, young researchers and professors working on today's wildlife and land management challenges, gives them an open door to explore their own future careers and interests. As 9-year-old Ahmae Munday so sweetly put it, when asked what her favorite part of the Sustainable You Summer Camp was, "Everything! Especially the cameras." The UC ANR network of Research and Extension Centers provide the perfect location to offer exposure to youth and communities to better understand and interact with the science going on in their own back yards and to inspire the next generation of researchers - as camp attendee and scholarship recipient Kaiden Stalnaker described in his scholarship application, "When I grow up I dream of a career in science and your camp would be a boost in the right direction." Thanks to the researchers, camp counselors and students who have allowed the Sustainable You summer camp to inspire young people like Kaiden. 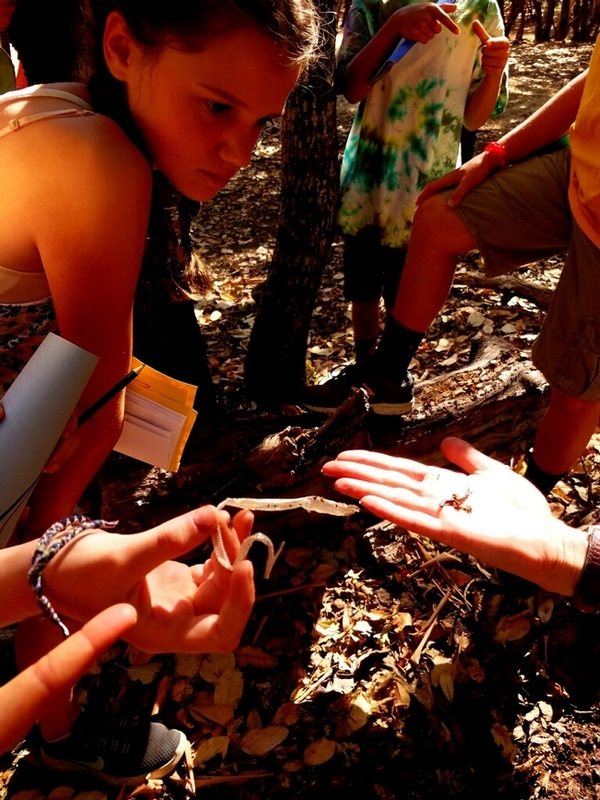 Campers enjoy a woodland hike and discover slender salamanders and a discarded lizard skin. The loss of the goats is a sad reminder for Californians to be aware of wildlife predators in their areas and make sure that livestock enclosures are secure against them. The Mountain Lion Foundation has information for keeping livestock safe in mountain lion country, including plans for inexpensive lightweight enclosures that work well in Southern California. Quinn — along with UC Davis veterinarian Winston Vickers, UC Cooperative Extension specialist in youth science literacy Martin Smith, and the Mountain Lion Foundation — is developing a comprehensive 4-H curriculum focused on protecting both livestock and wildlife. The killing of eight goats and injuries to the ninth goat by a single mountain lion may seem overly vicious, but the animal was acting according to instinct. 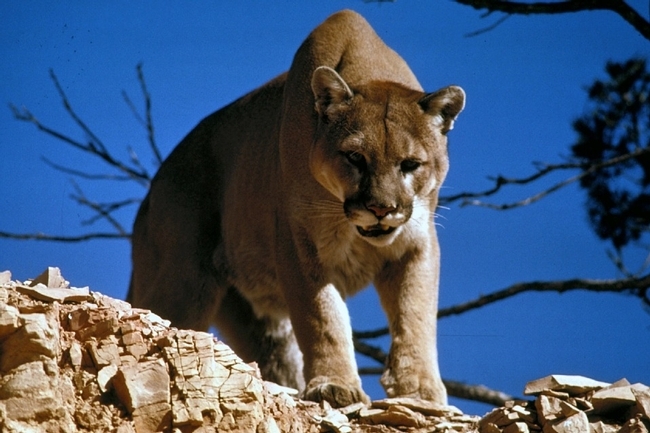 Once inside a pen or paddock, a mountain lion will often kill until all movement stops, according to the Mountain Lion Foundation. Lions are most vulnerable to injury when taking down natural prey like deer that have lethal antlers and hooves. In a natural setting, a deer herd will run away, leaving a lion with just one catch to be concerned about. Not so for penned or fenced-in livestock. The 4-H curriculum now being developed will empower 4-H youth to protect both predators and livestock by understanding wildlife behavior and proper animal husbandry practices. The curriculum will be available to all 4-H clubs in California – which include 27,444 youth enrolled in livestock projects – and to 4-H clubs nationwide. The night after the Trabuco Canyon pygmy goat attack, the same mountain lion was caught on camera returning to the pen, but he was unable to enter the shored up enclosure. Vickers said the lion shouldn't cause any more problems. “It is likely that the lion may come by the area as part of his normal territorial circulation periodically, but I would not expect further losses given the additional pen improvements that are planned, and I would not expect any greater risk to people at the location versus any other in the Santa Anas (canyons of Orange County),” Vickers said. Vickers said he hopes that the 4-H members will not choose to kill the mountain lion responsible for the late March attack. “The lions in their area are in serious trouble, and the loss of a single lion could affect their genetic viability for years to come,” Vickers said. Rodrigues – who has a doctorate degree in environmental science and has been a leader in outreach, strategic facilitation and partnership development for 25 years – has been actively involved in wildlife management at the 5,300-acre HREC since she arrived in mid-2014. Recent discussion and decisions made by the Mendocino County Board of Supervisors regarding their contract with USDA Wildlife Services (WS) and their use of an integrated wildlife damage management program prompted UC HREC to provide a space for two workshops to allow learning on wildlife management and community conversation. The Dec. 1 workshop will focus on scientific design and is implemented by USDA WS. 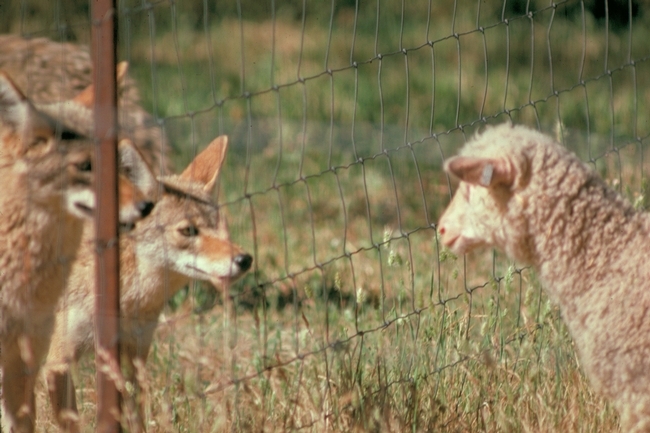 It provides an opportunity to hear experts from USDA, the Californi Department of Fish and Wildlife, UC Cooperative Extension and Defenders of Wildlife to discuss the most up-to-date research in wildlife behavior and non-lethal control methods. The Dec. 2 community conversation workshop is hosted by UC HREC and includes current research from UC Agriculture and Natural Resources, wildlife biologists and discussion of the challenges associated with ranching in Mendocino County from the Magruder family and other local ranchers. 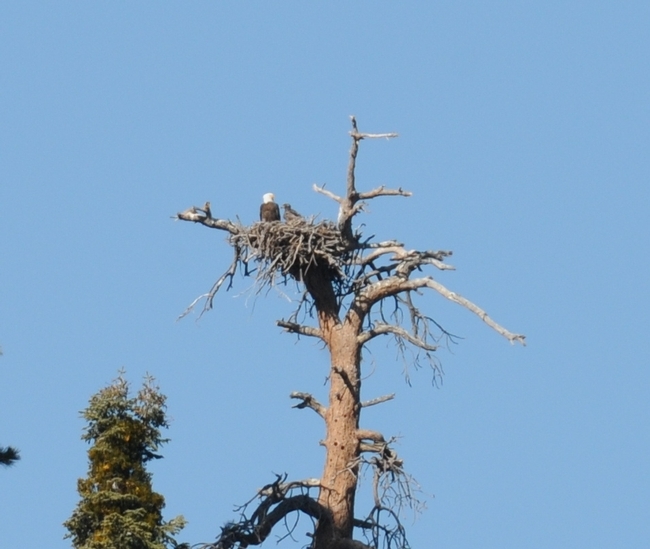 The day will culminate in discussion groups on topics ranging from integrated wildlife management tools to understanding local, state and federal connections. The public may attend either day or both days. Registration for the two workshops is separate. Community members, ranchers, land managers and members of non-profit organizations are invited to attend. 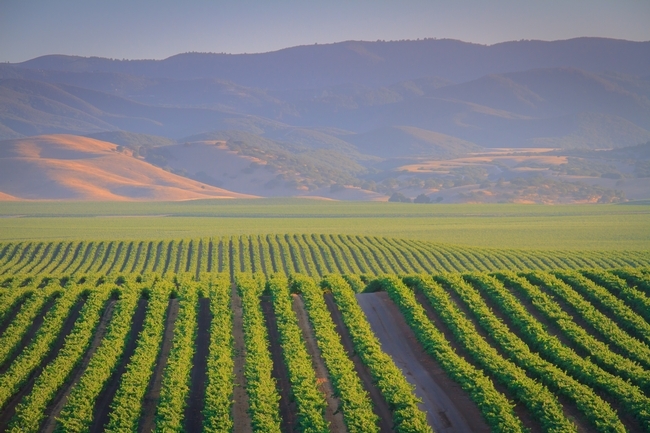 The workshops will be at the Rod Shippey Hall, Hopland Research and Extension Center, 4070 University Road, Hopland, CA 95449. Registration is $30 for each day (including lunch) and must be made in advance. The registration deadline is Nov. 23. Space is limited. Sign up for the Dec. 1 USDA WS workshop at http://ow.ly/TYhBd and the Dec. 2 community conversation workshop at http://ow.ly/TYhos. 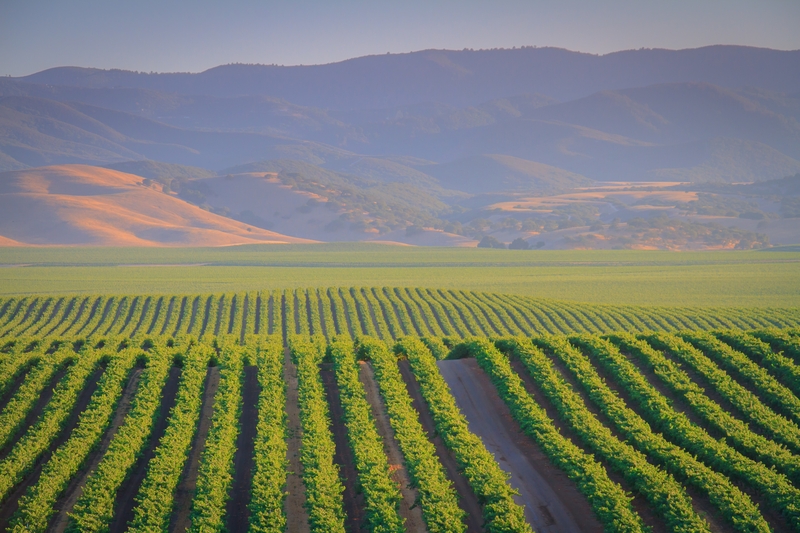 The Hopland Research and Extension Center is a multi-disciplinary research and education facility run by the University of California, Agriculture and Natural Resources Division. 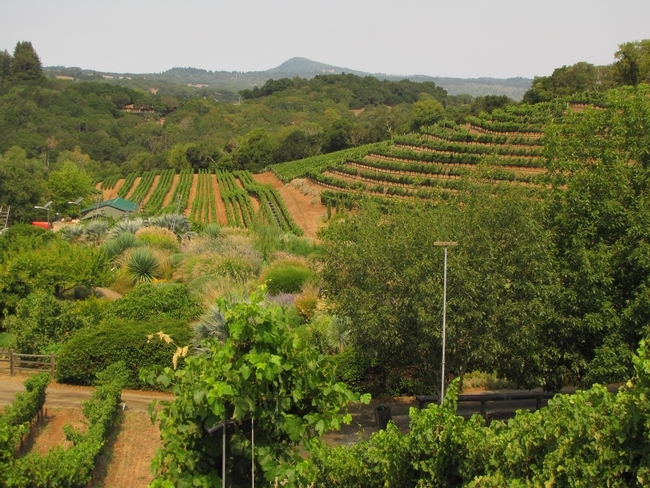 As stewards of more than 5,300 acres of oak woodland, grassland, chaparral, and riparian environments their mission is to find better ways to manage our natural resources and conduct sustainable agricultural practices, through science, for the benefit of California's citizens.